The Cottagewood Garden Club began in 1995. It started with three women in the bleachers at Bennett Park discussing flowers while watching their sons play baseball! Terry Bolin, Mary Becker and Missy Carboneau invited friends and neighbors in the community to an organizational meeting to see if there was enough interest in creating a gardening club. The club would focus on learning about gardening and taking care of the city gardens. 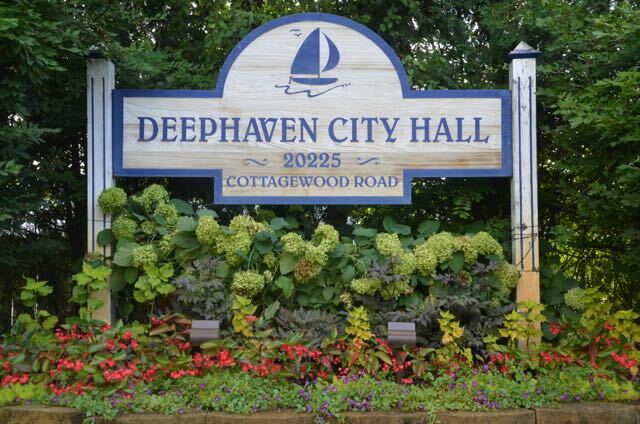 By-laws were created and the club opened up to any woman living in the Lake Minnetonka area that was interested in gardening and serving the community of Deephaven. Mary Becker was the first president, Missy Carboneau the Vice-President and Terry Bolin was the Secretary and Treasurer. As Time Went On . . .
As time went on, the Club continued to evolve and grow. In 2017, we have 51 active members and 18 affiliate members, who are former active members but are not held to all standards of participation and attendance. The Club is led by an Executive Committee and is supported by sub-committees responsible for planning the monthly programs, designing the gardens, scheduling the maintenance teams, providing hospitality and planning for community outreach, both within the outside the club. Each member works on one of 6 garden teams which work to maintain the City of Deephaven gardens weekly from May to October. For three to four months, we gather to learn more about gardening -- from creating bee-friendly gardens to creating an indoor succulent garden. For the past few years, we have helped Gilda's Club of Minnetonka with their seasonal pots.